Truely wonderful Victorian Pine Chest in its original and fantastic condition paint. 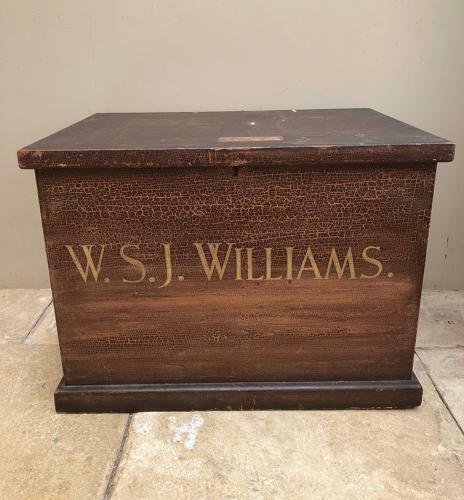 WSJ WILLIAMS. Original hinges. Super clean inside and no worm at all. Painted all the way round...it is great as a coffee table, side table, lamp table or storage chest...tv stand etc etc.